Famous for epic powder days and amazing summers, many are unaware that the neighborhoods in Mammoth Lakes are as varied as the seasons. 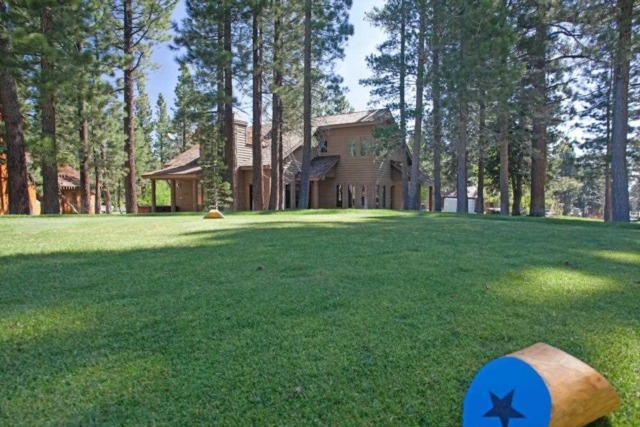 Regular visitors to Mammoth Lakes who decide to begin the search for a property of their own often think they “know Mammoth” and the various neighborhoods and locations. However, their experience is usually rather limited. Many believe “it is all the same.” But there are many “nooks and crannies” within the town that the causal observer misses. 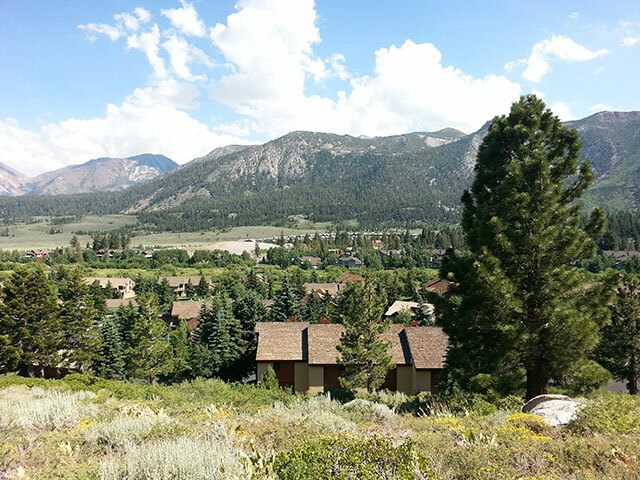 The four square miles of the Town of Mammoth Lakes is actually comprised of diverse neighborhoods. The neighborhood diversity can be a by-product of zoning, but more significantly the history of the development including the demand and trends of the market in past eras. Some of it has been driven by simple economics, and some by the governing bodies at the time. “Ski towns” are now dubbed “mountain resort communities,” and they have changed dramatically over the past six decades. Mammoth certainly has. The western private land mass of town butts along the base of Mammoth Mountain Ski Area. The two Mammoth Lakes neighborhoods which access into the Ski Area via ski lifts are the Eagle Base neighborhood and the Canyon Lodge/Mammoth Slopes neighborhood. The surrounding neighborhoods of Eagle Base feature both residential homes and condominiums. The original developments date back to the late 1960’s. For many years the area was referred to as “the Chair 15” area for the ski lift that originated there. Today the lift is a high-speed six-person chair named Eagle Express. This lift is considered one of the “portals” into the Ski Area. This location is the most eastern portion of Mammoth Mountain. The residential subdivisions were originally named Mammoth Vista and Majestic Pines. These were some of the old-time luxury neighborhoods in Mammoth Lakes. Today there is a mix of old and new, large and small homes. The large, major condominium project originally built at the base of Chair 15 is The Summit. It has undergone a complete exterior renovation in recent years. 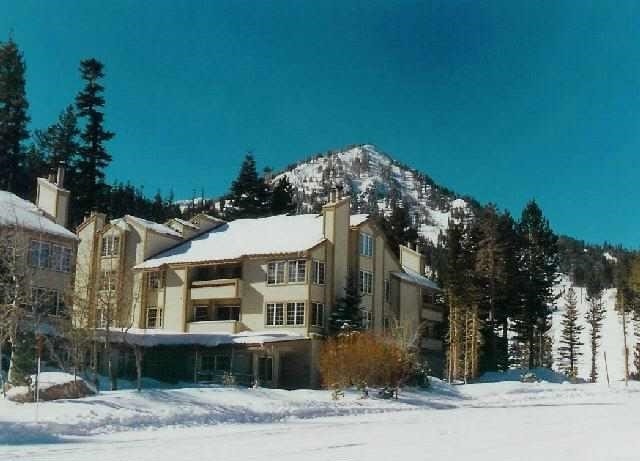 In the late 1990’s Intrawest developed the first condo hotel projects in Mammoth, right at the base of Eagle Express. Juniper Springs Lodge is the current flagship condo hotel property in this location. Sunstone and Eagle Run combine with it to comprise the newer ski-in ski-out condos along Eagle Express. A high-end luxury subdivision called Juniper Ridge sits above them. The Ski Area has longstanding plans to develop an additional base lodge facility here and the old “Chair 15 parking lot” will eventually be a prized hotel-style development. The Canyon Lodge/Mammoth Slopes neighborhood sits between Canyon Lodge and North Village (aka The Village at Mammoth). Canyon Lodge was originally known as “7 and 8” for the original chair lifts accessing the ski runs from there. Eventually a large base lodge facility was constructed and it was referred to as Warming Hut II. Intrawest renamed it Canyon Lodge in the late 1990’s. There were a half-dozen condominium projects built around the Canyon Lodge parking lot in the 1970’s and early 80’s. Before and during that period there were hundreds of residential lots developed and those subdivisions are named the Mammoth Slopes and TimberRidge Estates. Again, the existing homes today are a mix of old and new, large and small. There are even vacant lots that have never been built on. When the Mammoth Slopes neighborhoods were designed there was foresight to create a lift easement down through the middle. That easement today facilitates the Village Gondola. “The Village at Mammoth” is a modern “faux Alpine Village” concept development that is so prevalent in modern mountain resort communities in North America. This style of development is what Intrawest is so famous for. This is a pedestrian friendly environment with multi-story condo hotel buildings with a ground floor commercial mix of shopping and restaurants/bars, sometimes referred to as “the fun zone.” And all of this is centralized around a gondola for access to the ski runs and a plaza for gathering and special events. In Mammoth, this was and is a major redevelopment project. In the early 1990’s the surrounding property owners agreed to a re-planning of the area that created the North Village Specific Plan. 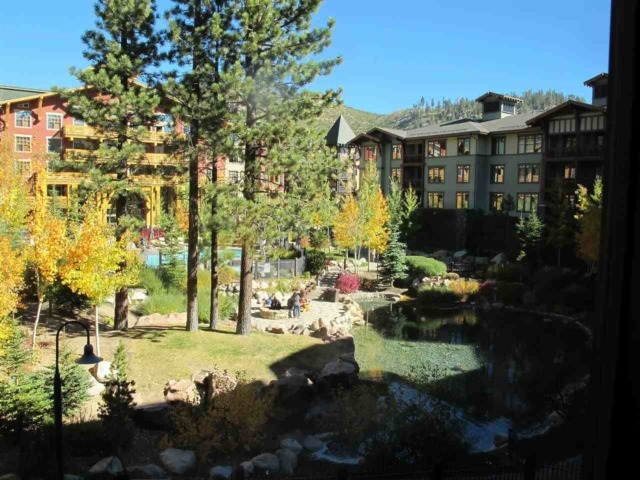 So far, only the three condo hotel properties of “the Village”; Lincoln House, White Mountain Lodge and Grand Sierra Lodge, and the Westin Monache are fully developed. These were all constructed in the early and mid-2000’s. The surrounding properties are slated for future development, but with the delay some of the enterprises have taken on new lives of their own. In resort terms, this is a dense bed base area. Around the Village are older existing condominium projects and miscellaneous commercial properties, and the bottom of the residential neighborhood of The Slopes. Snowcreek phases 1, 2 and 3 were constructed on the beautiful north side of Mammoth Creek in the late 1970’s and 1980. Phase 4 was developed on the south side of the Creek and adjacent to the Snowcreek Athletic Club in the mid-1980’s. The nine holes of Snowcreek Golf Course were completed shortly thereafter. Phase 5 (The Fairway Homes) is on the far side of the Meadow beyond the golf course and at the base of the Sherwins and butted up against the Forest Service property line. Phase 5 is almost 300 condominiums and took 10+ years to complete. The project has many large floor-plans, some over 3,000 square feet. Phase 6 (The Lodges) was built by the new Snowcreek owner, Chadmar, in the mid 2000’s. It is located on the inside of the golf course adjacent to the Catholic church. Snowcreek also developed three residential subdivisions; Snowcreek Ranch and Fairway Ranch along the golf course and Snowcreek Crest on the ridge line above phases 1, 2, and 3. Future Snowcreek developments should include the completion of Creekhouse and eventually phase 8 behind the sales office on the Meadow. Chadmar has specifically deeded land surrounding phase 8 to complete the “back 9” of the Snowcreek golf course. In conjunction with that there is a potential condo hotel property and clubhouse facility as part of phase 8. The Meadow area also includes some minor non-Snowcreek condominium projects built in the early 1980’s. It would also be appropriate to include the Sierra Meadows Equestrian Center in this neighborhood. The Center has become quite active in the non-winter months. The Mammoth Museum is also on the fringe of the Meadow along Mammoth Creek. The “Old Mammoth” neighborhood is an exact description. This is the south west corner of Mammoth and the first “platted” subdivisions of Mammoth dating back to the 1920’s. The original subdivisions were named Mammoth Camp Tract 1 & 2 because this was the area where the miners camped during the gold rush and subsequent mining days in the mountains above this location. Today the early subdivisions are a hodgepodge of irregular lots and above-ground utilities. There are still some historic log cabins and other strange housing units in the vicinity but quality residential development has taken over, even multimillion dollar homes. Just beyond the Snowcreek Athletic Club on Old Mammoth Road there are still remnants of the motels built in the 1930’s and 40’s. Most are now apartments. But this is where visitors in that era came to stay in upscale accommodations. The Valentine hunting camp at the end of Old Mammoth was donated to the University of California in the early 1960’s and is still an ecological reserve run by the UC. Today, Old Mammoth is a diverse mix of old and new homes. Modern infill has created some small condominium projects in the old motel zoning. The Bluffs subdivision at the very end of Old Mammoth Road was platted in the 1920’s but was never improved. It wasn’t until the 1990’s that the land owners were able to organize and build streets and add modern utilities. It is now one of the town’s premier residential neighborhoods. 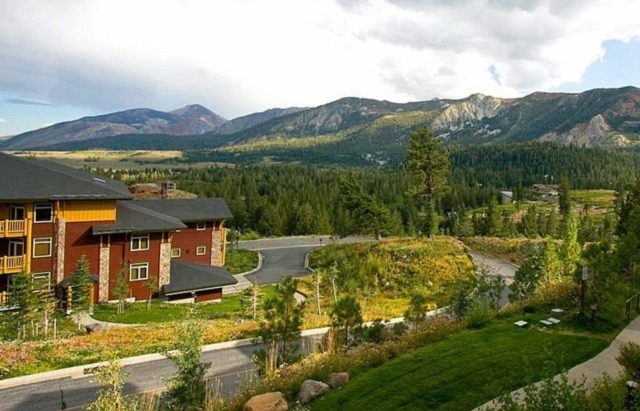 The Lodestar Master Plan property surrounds the spectacular Sierra Star Golf Course in the center of Mammoth Lakes. This property was slated for development in the early 1980’s and even proposed a small-scale train running through the entire development. But earthquakes, volcano scares and recession put an end to that. In the early 1990’s, under new ownership, the Master Plan was revised and the Sierra Star Golf Course designed by Cal Olson was proposed. Some 6,000 trees were eventually removed to construct the gorgeous course. The zoning was changed to included fairway condominiums, a luxury residential subdivision (Starwood), and two hotel sites in the core of the development. The condo projects Timbers, Mammoth Green, The Cabins and Solstice were built by Intrawest in the early and mid-2000’s. There are numerous multimillion dollar homes now constructed in the Starwood subdivision. Recently, some of the fairway fronting property zoned for condominiums has been converted to residential zoning and mid-level new homes are being developed. Mammoth still hopes the hotel sites will one day see a luxury hotel(s) and convention facility. The balance of Mammoth is commonly referred to as “Town.” This is the area surrounding Main St. from the “old Whiskey Creek corner” down to Old Mammoth Road and out Old Mammoth Road to the Mammoth Creek Park. This is the core commercial district in Mammoth. When the Village was planned this area was envisioned to become the commercial service district of Mammoth. But it still remains the primary commercial district of town. Because of the zoning, the area carries a broad mix of commercial, commercial lodging, multi-family properties (apartments), condominium projects, and government facilities. The Sierra Valley Sites (fondly known in town as “the Ghetto”) are four streets that run from Main St. to Meridian Blvd. in the center of town. This area was developed in the 1940’s and was originally zoned multi-family (R2 and R3). The streets remain substandard (narrow and blinded) and the utilities are above ground. Today, there is a broad mix of cabins, residential homes, apartments of all shapes and sizes, condos, Ski Area housing, government sponsored housing, and more. It is home, and has been home, for scores of Mammoth local residents over the decades. There is another predominantly local resident neighborhood in the area known as “behind the Post Office” (on Main St.). Those subdivisions were created in the early 1960’s and feature smaller lots. The lots were originally conceived for small A-frame type weekend homes. Many are still there. But affordability has driven many local residents to own in this neighborhood. The condominium projects in this vicinity have gone through a renaissance due to their proximity and convenience to the improved commercial enterprises in the corridor. The improved public transportation has helped. Mammoth Hospital is located near the entry to town and has expanded both facilities and services. Mammoth added a beautiful public library to the center of the school zone on lower Meridian Blvd. Below the four schools is a more modern residential subdivision named The Trails. Although this area is very attractive to local residents, it becomes increasingly popular with second homeowners. And below that is Mammoth’s Industrial Park and Water District Plant. The different neighborhoods in Mammoth Lakes have changed and grown over time. New subdivisions, new condominium projects, and infill and redevelopment in general have changed the complexion of each area. Most of it for the better. With many undeveloped parcels remaining and many slated for redevelopment, the progression will certainly continue.